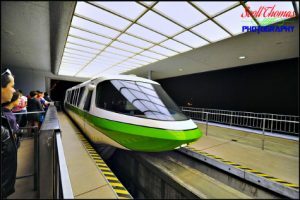 Last week I talked about Looking Down at Walt Disney World. This week we are Looking Up….from Our Phones. Believe me, I appreciate the modern day Smart Phone as much as the next person. Especially in a long queue line for a popular ride or attraction at a Disney park. However, you could end up … Continue reading "Look Up with a Twist at Walt Disney World"
According to an item in the Orlando Sentinel this morning, a number of Magic Kingdom restaurants will start serving beer and wine next week. These restaurants will serve alcoholic beverages suited to their themes as follows: -- Cinderella&apos;s Royal Table, located in the park&apos;s iconic Cinderella Castle, will serve sparkling wines and champagne. 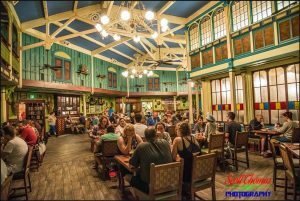 -- The Jungle Cruise-themed Jungle Navigation Co. Ltd. Skipper Canteen in Adventureland will feature a "global" beverage menu to pair with some of the more exotic dishes it serves up. -- The colonial-themed Liberty Tree Tavern in the park&apos;s Liberty Square will offer beer, cider and domestic wines to go with its traditional American fare. -- The "Lady and the Tramp"-themed Tony&apos;s Town Square Restaurant, will have Italian wines and beers to match its Italian cuisine. I was able to dine at a number of new (to me) places on this trip and had some really good experiences. I started off my trip staying at the Polynesian Villas and Bungalows. On the first night there I went to Captain Cook’s. I wasn’t very hungry but I thought the Pho Noodle Bowl … Continue reading "2016 Disney Princess Half Marathon Weekend – Part 3 – Dining"